Valentine's Day is right around the corner and that means the season of love is upon us. 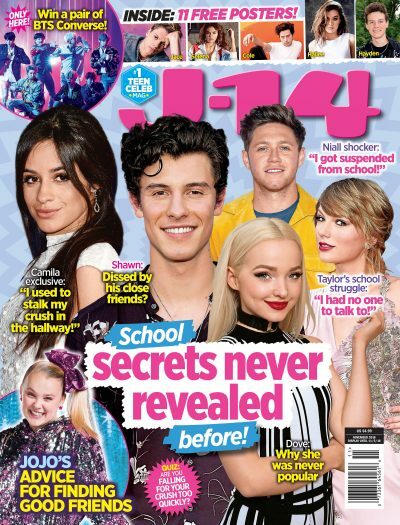 J-14 talked to the guys of Forever In Your Mind and asked them to reveal what their dream Valentine's date scenario would be. Each of them had something different to say, but all of their ideas seemed so fun! Ricky Garcia, Emery Kelly, and Liam Attridge also went on to talk about the best gifts they've ever given, and received. This is perfect because with the holiday right around the corner, everyone is trying to figure out the best gift for their boyfriend or girlfriend. If you need any gift ideas, the guys will definitely inspire you and help you pick that perfect gift for the special someone in your life. Of course, we had to find out what celebs the FIYM boys would want to spend their Valentine's Day with. We asked the guys to reveal their celebrity crushes at the moment, and they all were willing to spill. Check out our exclusive video and let us know what you think the perfect Valentine's Day gift is in the comments section below.